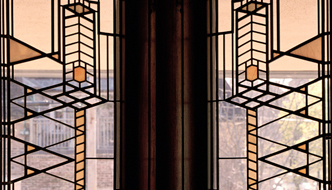 Wright’s architectural principles and ideas were forged amidst the innovative and progressive environment of late-nineteenth-century Chicago. 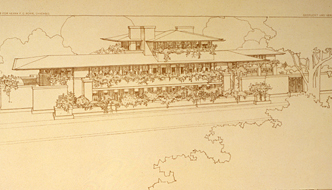 Developed in the 1890s when Wright was establishing his architectural practice in Chicago, this visionary design philosophy would inform Wright’s architecture throughout his career. 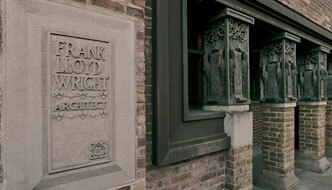 With a citywide network of historic Frank Lloyd Wright sites, the Trust offers an unparalleled experience. 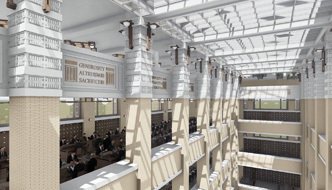 An ongoing series of immersive recreations of demolished and unrealized Wright buildings. 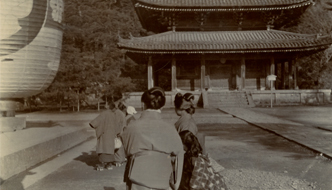 Explore Wright’s 1905 photographs of Japan in this online exhibition from the Trust’s collections. 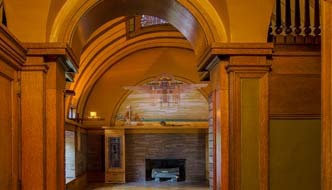 An extensive archive of resources for the conservation, restoration and preservation of historic buildings. 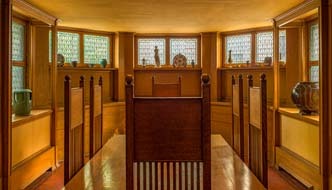 Comprising examples of Wright’s earliest furnishings and decorative arts. 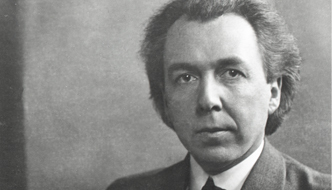 Enrich your understanding of Wright’s architecture through these significant repositories of his work. 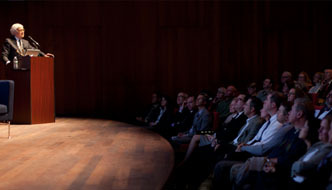 Expand your experience of Wright’s Chicago through a variety of multimedia features. 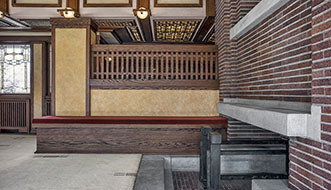 In spring 2019, the Frank Lloyd Wright Trust concluded the final phase of a comprehensive restoration of the Frederick C. Robie House.